Learn all about the traditions of Lunar New Year—also known as Chinese New Year—with this fourth board book in the Celebrate the World series, which highlights special occasions and holidays across the globe. After the winter solstice each year, it’s time for a celebration with many names: Chinese New Year, Spring Festival, and Lunar New Year! 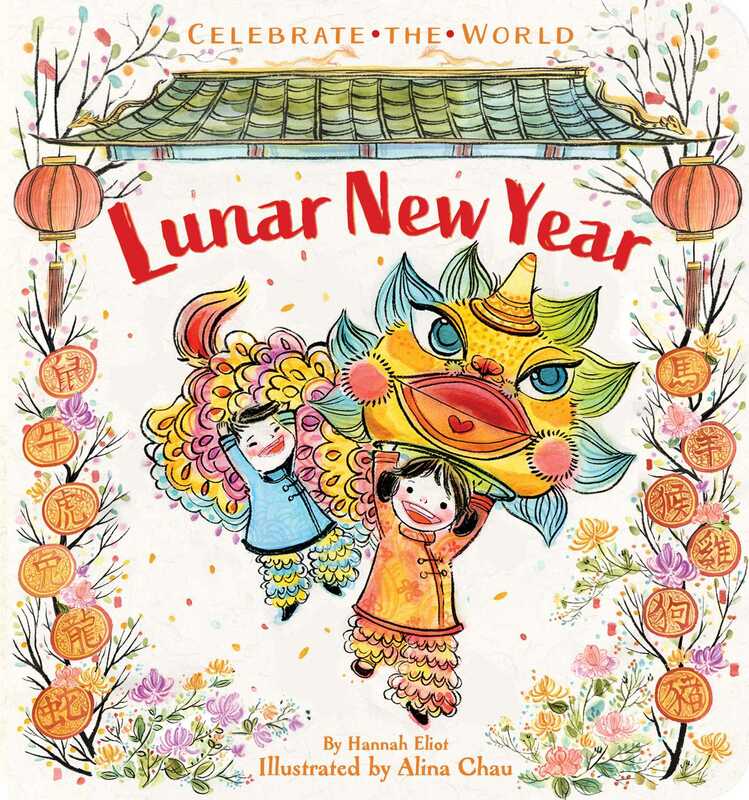 With beautiful artwork by Chinese illustrator Alina Chau, this festive board book teaches readers that Lunar New Year invites us to spend time with family and friends, to light lanterns, and set off fireworks, dance with dragons, and to live the new year in harmony and happiness. Alina Chau grew up in Hong Kong, where she discovered that drawing and painting were the best way to keep her out of mischief. Art is what eventually led her to the United States, where she received an MFA from the University of California, Los Angeles. After over a decade working in the animation industry, she decided to focus on illustration and writing stories full time. Her whimsical art style is highly sought after for art exhibits worldwide. Alina currently resides in Los Angeles with her mischievous puppy, Piglet.